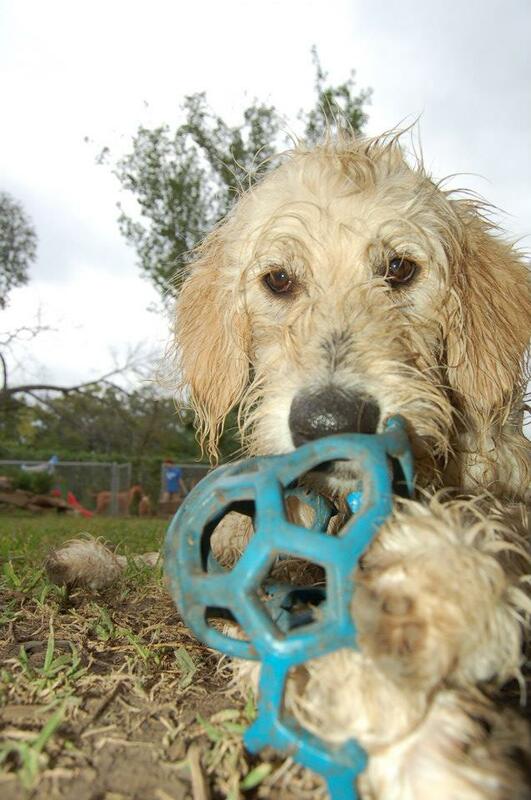 Goldilocks & Her Doodle: Puppy Photo Album! Me: "Oh, what a cute dog! I noticed you training her yesterday when I picked up Milton. You are really working hard with her. Does she ever play with Milt in the yard?" Man with Rottweiler: "No, my dog doesn't like to 'wrassle.' 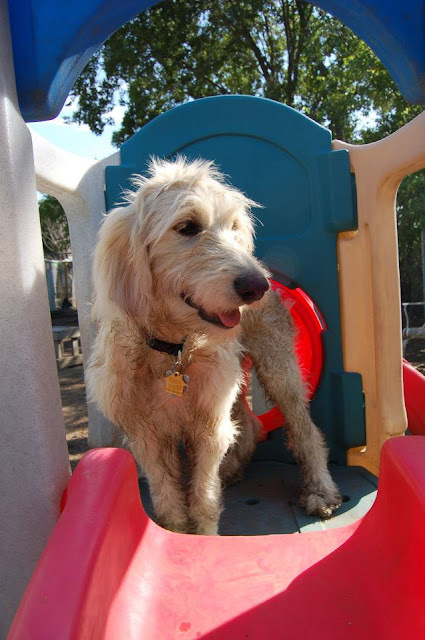 "
Uh huh, and that is why Milton is always filthy towards day end and needs the daycare people to hose him off, brush him out, and cage dry him. Me: "Did Milton need a bath today?" Heather, Daycare Lady: "Yes, he got really dirty today. Your dog sure likes the mud." Heather, Daycare Lady: "No, he actually stayed pretty dry." 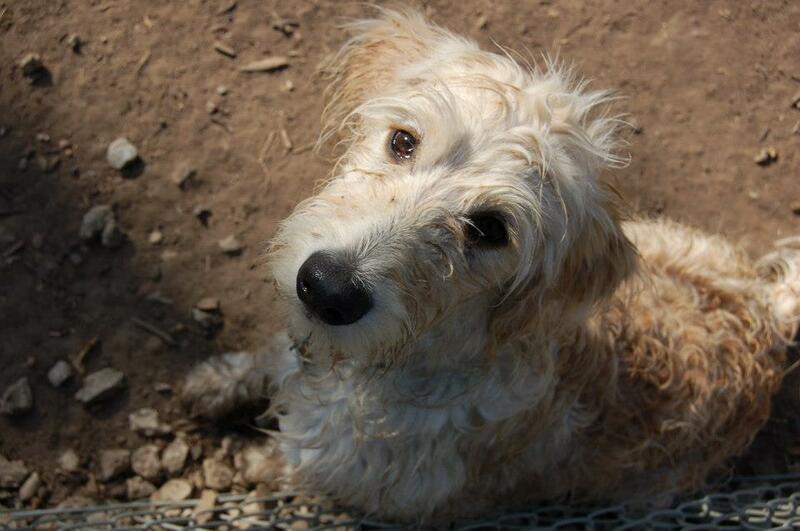 We gotta love our dirty, little doodle! You guys are the best mommy and daddy!